Martin Mundt’s The Crawling Abattoir has been hitting the sick spot with horror readers this week. The book picked up two new 5-star reader reviews on Amazon over the last couple days. Download a copy and check it out here on Amazon. 5-Star Praise for SYNCHRONIZED SLEEPWALKING! Check out the full review here… and then… follow the links and check out the book. Because… I know… you’re going to love it!!! 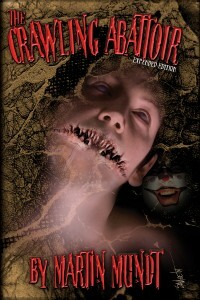 THE CRAWLING ABATTOIR hits #1 on Amazon Horror Humor Chart! 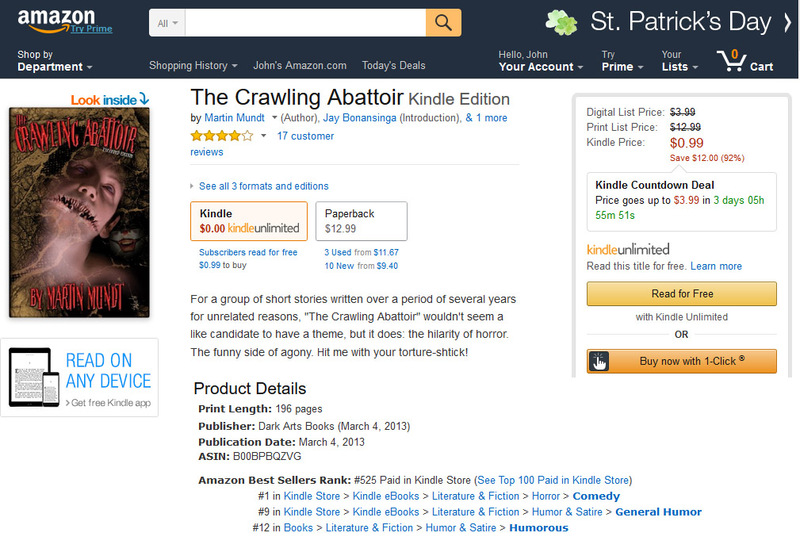 Martin Mundt’s The Crawling Abattoir has just hit #1 on the Amazon Kindle Bestseller’s List for Horror Humor!!! And it’s actually in the top 525 sellers on all of Amazon right now! Dark Arts Books put both The Crawling Abattoir and Mundt’s latest, Synchronized Sleepwalking, on Kindle Countdown Sales for 99 cents this week and thanks to a BookBub email promotion today… Abattoir has hit the top! Check it out here! Better yet… Download both books from the links below. And tell your friends to download them. They’re cheap. And FUNNY! And probably the Best Stories You’ve Ever Read!! !